I left the Topnotch Resort in Stowe and drove in to town for breakfast. I picked up a bag of Tucker’s hard-to-find hippie natural dog food at a great little store, the Dog and Cat, and then continued to the Green Goddess for breakfast. A grilled tofu wrap and freshly squeezed carrot/beet/kale/ginger juice in hand, I headed toward the Quiet Path, where the Topnotch concierge had recommended I take Tucker. 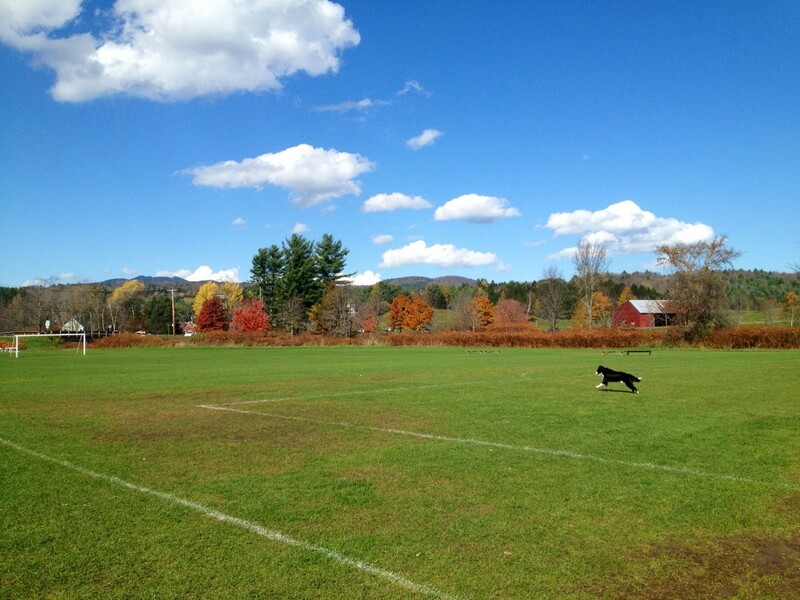 We found a great open field where Tuck enjoyed a few rounds of fetch before joining in play with a couple of local dogs. 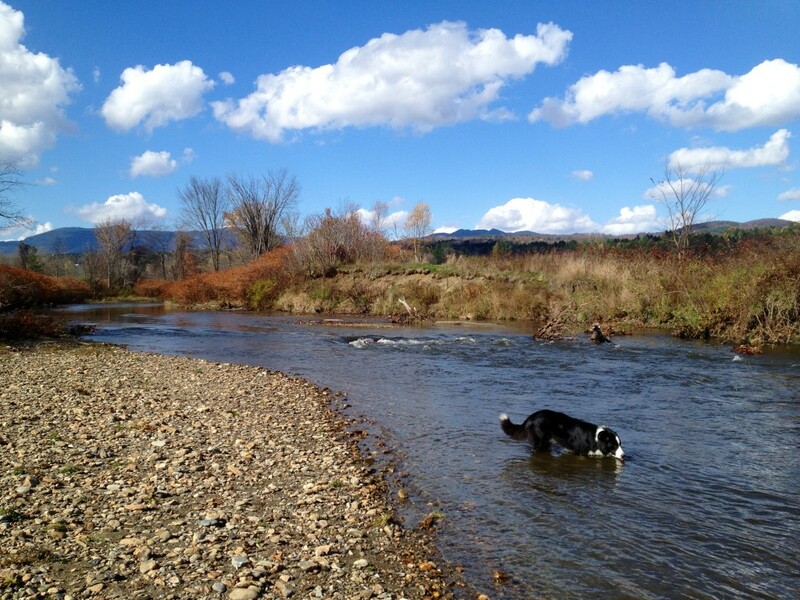 Then we pressed on to the West Branch River, where my dog got his fill of fresh spring Vermont water. From Stowe, I began to head east toward Maine on Route 100. 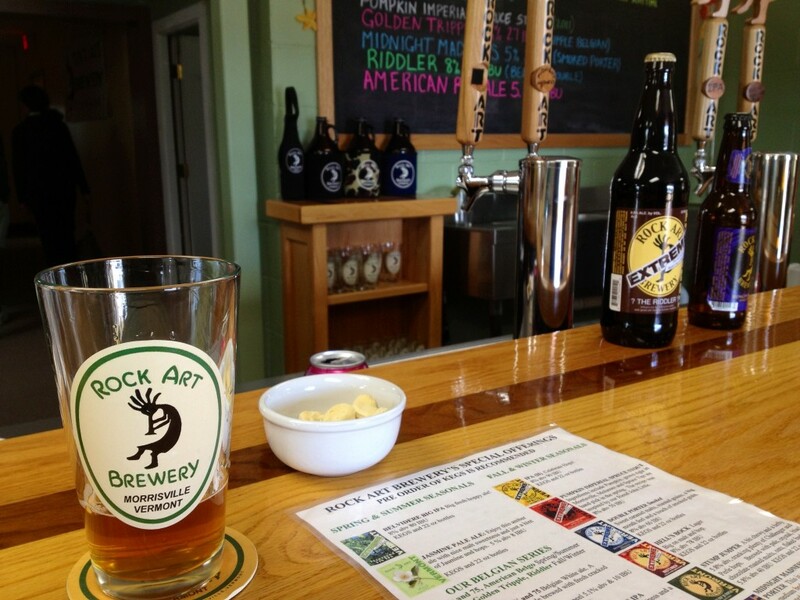 I had to pull off, however, when I passed the Rock Art Brewery. 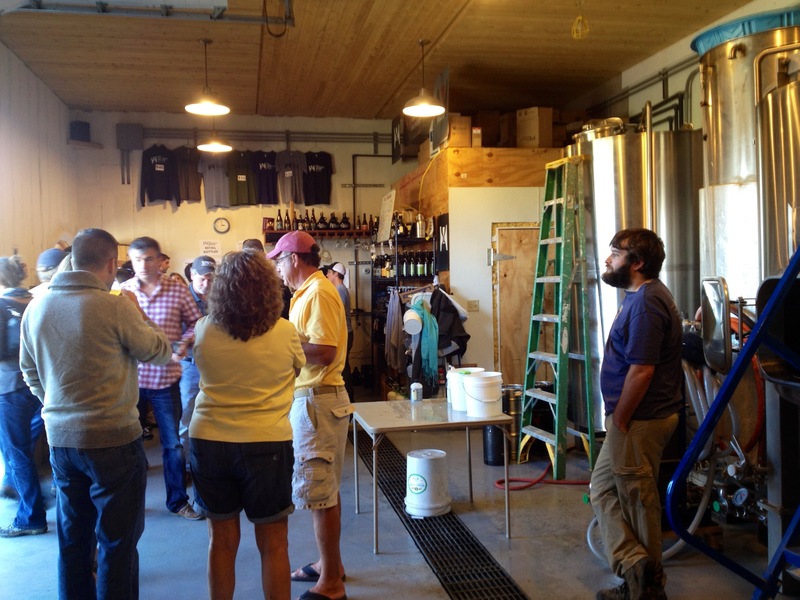 Here I had the friendliest tasting of my Vermont brewery tour, and I really enjoyed their Jasmine Pale Ale. But I had my eyes on a bigger prize, one to be found way off in rural Greensboro, Vermont up a rutted gravel road in an area that looked so desolate I was sure I was lost: Hill Farmstead Brewery, home of what some consider to be the best craft beer now being made in the United States. Once again, thanks to Brad for the hot tip! I knew not of the brewery before I arrived, which I believe led to less tasting bias than more knowledgeable beer freaks may possess. 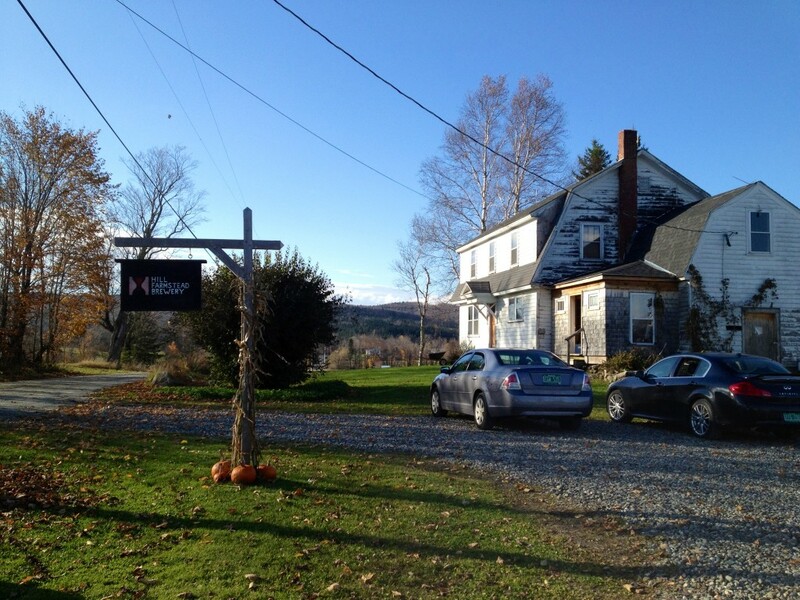 Any Google search will fill you in on the Hill Farmstead backstory, so here’s my experience. The brewery is basically a converted garage attached to a ramshackle homestead on the top of a hill surrounded by wild Vermont mountains. When I arrived, the parking lot was full and people were queued four or five deep at the taps set up in the corner of the garage. All were there for tastings or growler refills or a glimpse of Shaun E. Hill, American craft brew wunderkind, as he washed glasses and worked the taps. Some of the stories I’ve read have even gone so far as to dub Shaun the best brewer on the planet. High praise for a brewer in his early thirties, but would the beer live up to the hype? I had four samples of the six on tap, and couldn’t find fault. The two that I liked best were Abner, the double IPA, and Holger Danske, a smoked brown ale. Hill Farmstead has neither of these beers in bottles, and very, very limited distribution outside of Vermont for a few of their other offerings, so the best and often only way to enjoy these beers is from the source. Abner and Holger Danske were two of the best beers I’ve ever had, and exhibited taste profiles that were complex and changing yet perfectly smooth, with a range of flavors that were beautifully balanced. I won’t go into more beer geek descriptions, which are widely available online if you’re interested. However, I encourage you to head up that hill and taste for yourself. You won’t regret the trip, but be forewarned that once you taste Hill Farmstead’s offerings you may be left with a craving that’s hard to fill with whatever you’ve got available in your local supermarket. I know I’m ruined. It was with a sadness that I pointed my car toward New Hampshire, assuaged only by a couple of 750 ml. growlers of Abner and Holger Danske keeping company with the Heady Topper in my cooler. As the Hill Farmstead beers were fresh and not bottled, I knew I had just a couple of days to enjoy them—an event to which I looked forward even as I mourned finding beers so delicious and yet so unattainable once I returned to my life in Virginia. You are currently browsing entries tagged with Dog and Cat at Bonafide Farm.